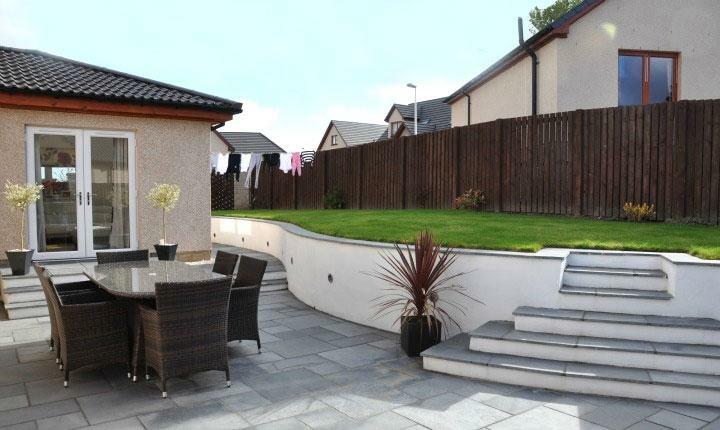 We were asked to conduct an extensive rear garden re-design at a modern, newly-built family property in Perth. 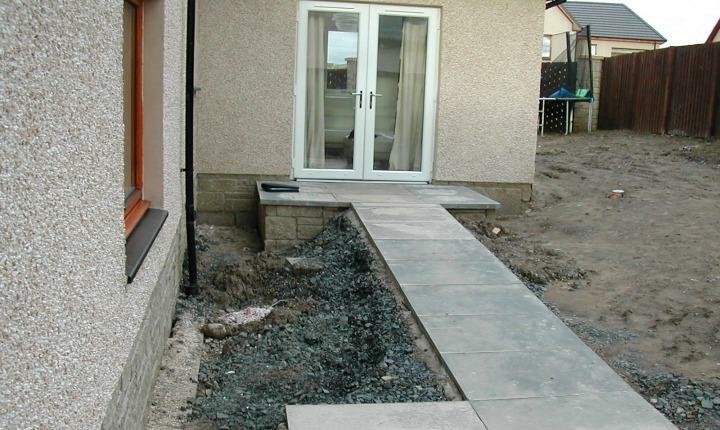 Our clients' existing outdoor area was unfinished - featuring uneven, bare sections of earth and incomplete sections of paving. 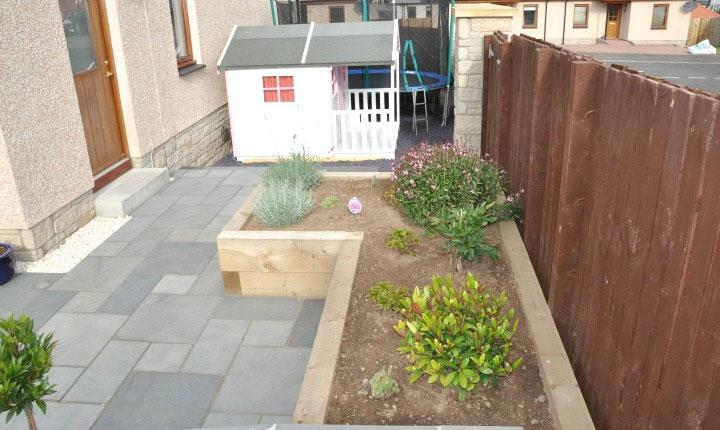 We saw an opportunity to transform the garden into an idyllic, eye-catching family space which included play and planting areas and a lush lawn. 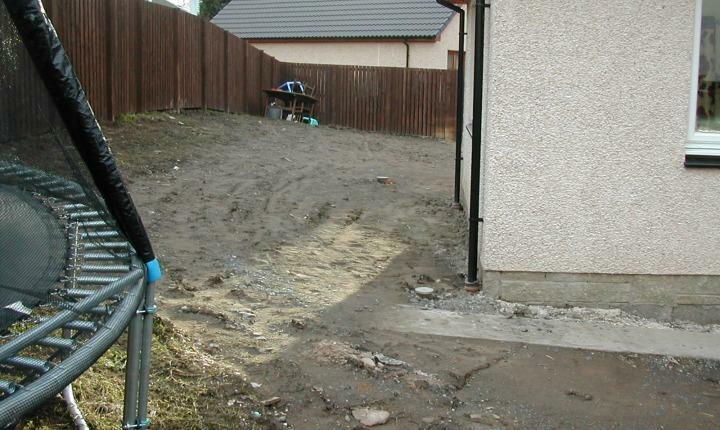 We began by constructing a raised section of lawn which ran along the side of the property and was supported by shaped, white rendered retaining walls. 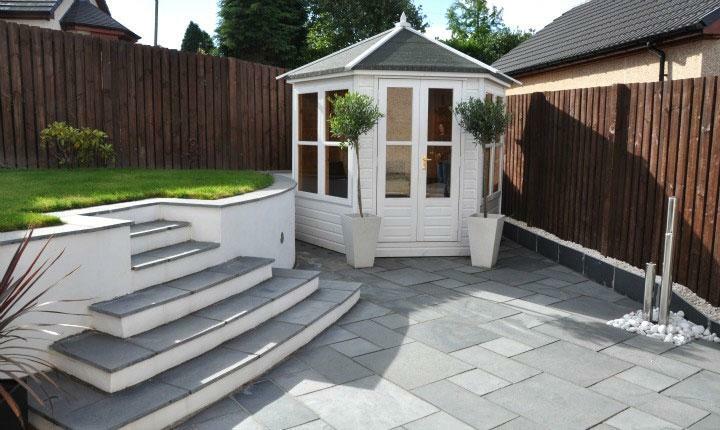 The clients chose Fairstone black limestone for the patio extending around their property: eye-catching and contemporary, the dark paving contrasted well with the lawn's retaining walls. 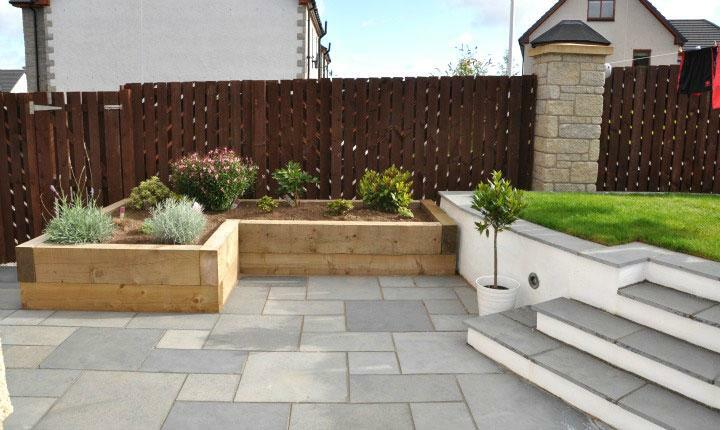 The patio areas were bordered with colourful planting beds and we constructed steps up to the lawn for easy access. 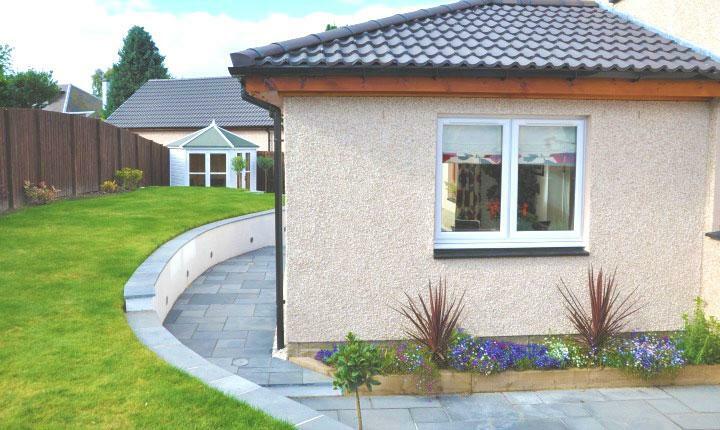 As a finishing touch, we installed subtle lighting along the patio wall, completing a stylish, open outdoor space perfect for children and adults alike. 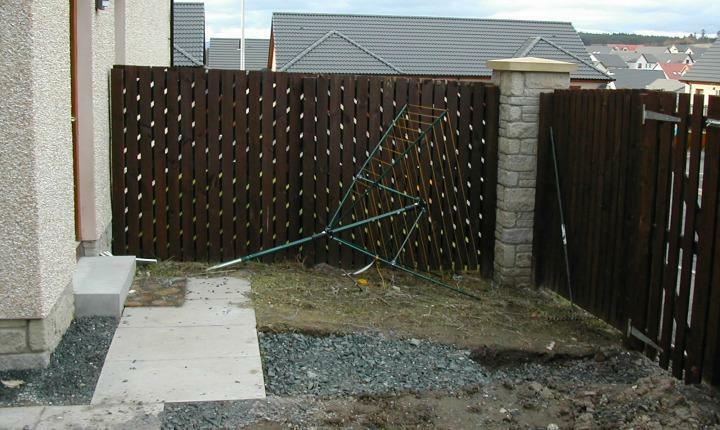 Simply scroll the slider from left to right to see this garden transformation, for further images click on the arrows at the bottom right of the gallery. 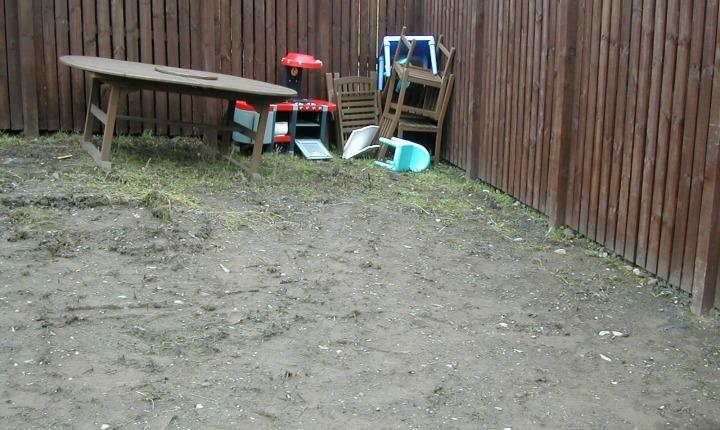 Why not visit some more of our garden projects for ideas on designing your garden.